Have You Tried The Tooth Test? With the increase in popularity of pearls, we all want to know if our pearls are genuine or fake. What better way to find out than by doing the “tooth test!” While rubbing pearls on your teeth may not be the most fashionable thing to do, wearing pearls is definitely back in fashion. Pearls are more than just jewels. Throughout history there have been many references to the pearl as a magical and sought after gem. Even King Solomon is said to have believed that the pearl offered protection from fever and brought wealth and love. Are cultured pearls natural pearls? Natural and cultured pearls come from oysters that secrete layers of pearly substance, called nacre. Cultured pearls are the result of human intervention while natural pearls are a gift of nature. To produce a cultured pearl, a bead is introduced into the nucleus of the shellfish to stimulate the oyster to produce and cover the bead with nacre. This process was pioneered in Japan before the turn of the 20th century. In a natural pearl, a grain of sand or a parasite usually embed their way into the oyster without human intervention. Why so many different names? As varied as their names, so are their shapes. Names range from salt water to freshwater, semi-cultured, biwa, mother of pearl, blister and mabé pearls. Is the shape of the pearl important? Is colour a factor in determining price? The beauty of a pearl’s colour comes from the thickness of the nacre. Many natural factors come into play in determining their colour – cream pearls come from salty waters and black pearls come from the waters around Tahiti and the Persian Gulf. The general rule for white or cream pearls is the darker the colour, the lower the price. 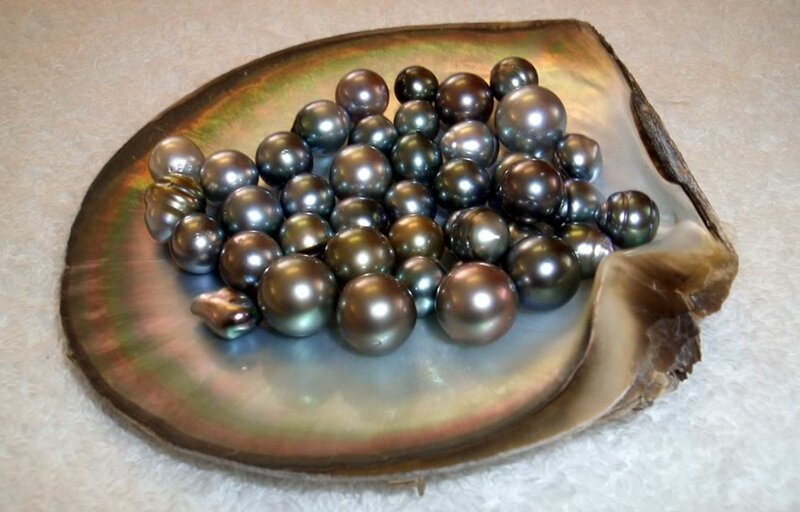 Black pearls are extremely rare and expensive. What length should pearls be? Strands of pearls can be worn any length, day or night. A choker is 14”-16” with all pearls the same size; princess is 16”-18” and can have graduated size pearls; matinee is 21”-24” while opera is 28”-32” and is two standard chokers in length; rope is 32”-42” and may be worn twisted or knotted. What should I look for when buying pearls? Look at how well the pearls match in terms of colour, shape, lustre, size and surface perfections. Pearls that blend well together will cost more than mismatched pearls. When judging the quality of pearls, lustre is by far the most important factor, so compare a few strands before buying. What is the best way to take care of pearls? Acidity is a pearl’s worst enemy. Don’t use commercial cleaners, ultrasonic machines or detergents. Wearing pearls often is their best medicine as it brings out their shine. It’s best to put your pearls on after applying make up, perfume or hair spray as this can dull their lustre. When storing pearls, keep them separate from your other jewellery to prevent scratching. Storing them in a bowl of uncooked rice prevents them from drying out. Pearls are strung on silk and over time the silk will stretch from wearing them. If pearls are very loose between knots, it’s time to have your jeweller restring them. How can I tell if I have fake pearls? Try the tooth test! Gently rub the pearls over the biting surface of your front teeth. If the pearl feels smooth, it’s more than likely fake. If it feels grainy or sandy, it’s probably natural or cultured. You will feel the difference immediately. Pearls are readily available all over the world, but fine quality pearls are becoming scarcer as our global waters become more polluted. Fortunately, you won’t have to dive to the bottom of the ocean, as Aphrodite did, to obtain your precious, prize pearls. https://kahnsjewellers.com/wp-content/uploads/2016/02/colored_pearls.jpg 576 900 loossee https://kahnsjewellers.com/wp-content/uploads/2016/02/kahns_jewellers_logo_black.png loossee2016-02-07 13:58:232017-02-02 16:26:01Have You Tried The Tooth Test?